One of the most stressful things we hear all day is our cell phone ring. In fact, studies show it’s as stressful as a parent hearing a baby cry. And it triggers our stress response, instantly. So unless you’re expecting an important call, put your phone on silent. Have you heard of “cell phone elbow”? When you flex your elbow more than 90 degrees – which happens every time you hold a phone to your ear – you’re over-stretching the “funny bone” nerve in your elbow… You’re also reducing blood flow, risking permanent nerve damage. The fix? 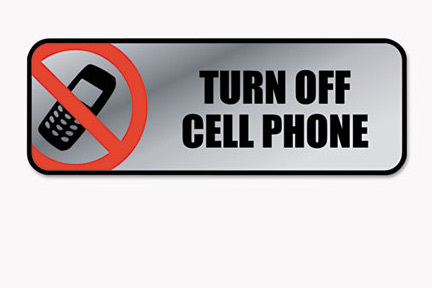 Cut back on cell phone use or use your phone with a headset or on speaker. The jury is still out as to whether there’s a connection between cell phones and an increased cancer risk. Don’t stash your phone in your shirt or pants pocket. Keep it at least an inch from your body. And when you’re talking, use earphones or a headset. As far as the case protecting your phone – make it plastic or rubber. Metal ones increase the radiation your phone gives off. Also, avoid making calls when the battery is low – or the signal is weak. Like when you’re in an elevator, parking garage, or a moving vehicle. Your phone has to work harder in those situations to find and lock onto a signal – so it emits more radiation. 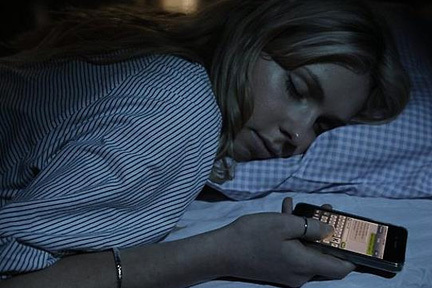 Your smartphone could get you sick! Even if your smartphone looks spotless, it could be plastered with bacteria that can cause everything from the flu to pinkeye to diarrhea. All those germs are just a finger swipe away because of the phone’s proximity to our hands, nose, and mouth. That’s according to the Medical University of South Carolina. Now, you may say – well, the same goes for anything we touch and hold. 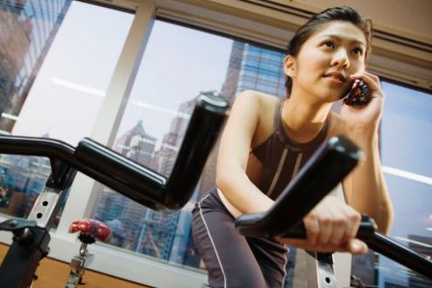 But here’s what makes the difference……We take our phones everywhere – from restaurants, to the bathroom, to setting them on the elliptical machine at the gym. And although we may wash our hands, we typically don’t wipe down our phones after each activity. And that greasy smear from the dinner table feeds those microbes even more. So, how bad is it? When the researchers swabbed volunteers’ phones, every single one had sky high levels of coliform – that’s bacteria from waste matter! That means, according to the American Academy of Family Physicians, people are just as likely to get sick from their phones as from bathroom door handles. So what’s the best cleaning method? A soft, lint-free cloth with rubbing alcohol is best, removing nearly 100% of the bacteria. Turn off your cell phone at the doctor’s office. If you don’t want your doctor lecturing you about your blood pressure, turn off your cell phone before your next exam. That’s according to Dr. Gary Schwartz, a professor of medicine at the Mayo Clinic College of Medicine. He says that answering cell phones causes a temporary – but significant – spike in blood pressure. That’s because cell phone calls are mini-stress episodes. And even though almost everyone carries a phone, we still feel anxious when we’re interrupted by a call. Yet another reason why we need to disconnect from our cell phones to really relax.